The Boeing 787 main ship lithium battery uses a Securaplane battery charger because it significantly reduces maintenance while eliminating the guess work identifying and solving battery and charger problems. The Securaplane battery chargers can be used with a range of chemistries including NiCad, lead-acid and lithium. They include advanced DC to DC conversion technology, patented charging algorithms and comprehensive diagnostics and fault isolation. Patented charging algorithms ensure that the battery receives the optimum charge for all temperature conditions and all states of charge. Conventional chargers typically gauge charge time solely on cell voltage, leading to over- or under-charging the battery, resulting in water loss and increased maintenance. 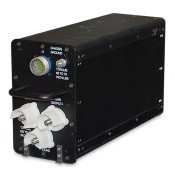 Only Securaplane has been able to detect inflection points accurately to reduce overcharge conditions. 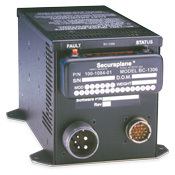 The Securaplane battery chargers include the following features: store, time and date of every fault, check charger microprocessor status, and provide readouts to the integrated eight-character alphanumeric display.